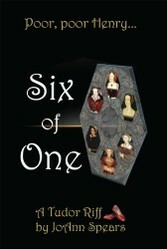 Six of One is a Book about Dolly meeting the six wives of Henry VIII. She learns a series of secrets that the wives took to their graves, but is it really a book worth buying? 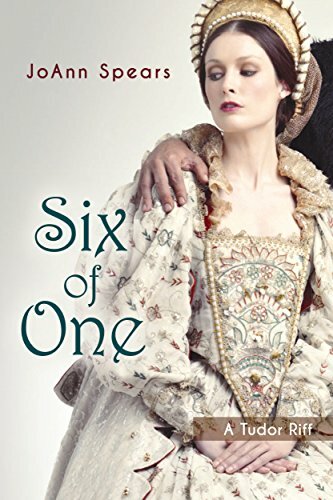 Six of One is a historical fiction book by JoAnn Spears. I recently saw it available for free on Amazon and decided to download the eBook version to give myself some light reading. In the end I couldn’t put it down because I really wanted to find out what happened at the end, but that doesn’t mean I liked every aspect of it. In fact, there were a lot of parts that really annoyed me and I’m not sure whether I’d download any other books by the same author. I thought I’d share my review at Wizzley and go into the detail about the things that I loved and didn’t really care for at all. Warning: This review will contain some spoilers but I won’t give the ending away! The world of Henry VIII's court wasn't quite what you expected. The premise of Six of One is relatively simple. Dolly is about to marry Harry, who has been married six times already. She’s from the 21st century and it’s the night before her wedding—the night of her bachelorette party. When she ends up choking on a peanut, she finds herself transported to a world for wayward women. There she meets some very prominent women from the Tudor court, including Henry VIII’s six wives. Dolly is a history professor at an American university, and the Tudor period is her favorite period (sounds like a girl after my own heart!). She knows all about the women walking in and out of the room that she’s staying in during her transportation to the world for wayward women, and fills in a lot of gaps for readers who aren’t familiar with the characters. Some of the ones that I learned a little more about include Arabella Stewart and Kat Ashley, although I take historical fiction works with a pinch of salt and will be doing my own extra research to find out more. During her time there, she finds out secrets about each of the six wives of Henry VIII. She learns the real reasons for Henry VIII’s divorce from Catherine of Aragon and what Anne of Cleves got up to after her divorce from her husband. It's time to learn some of the truths that happened in the Tudor court. Well, it's time to learn the fun secrets that Spears decided to give the six wives. I’ve got to admit that some of the secrets were a good twist in the story. I’m not going to tell you them all in detail—that wouldn’t be fair—but I will admit that there were some “ooo, now that would make Tudor history even more entertaining if it were true” moments. My favorite of the six tales has to be Katherine Howard’s secret, but Catherine of Aragon’s was a very close second. My least favorite was Anne Boleyn’s, but mainly due to the way Anne was constantly mentioned in the book (more coming up about that later). Catherine of Aragon: Did She Cause the Religious Reformation? Catherine of Aragon was Queen Consort of England between 1509 and 1533. She fought to keep her marriage and it was part of the reason for the religious reformation. The downfall of Anne Boleyn remains a popular subject. Was she really guilty of treason and adultery? While that can never be known, here are the events that led to her death. Jane Seymour: The Meek, Mild and Boring Queen of Henry VIII? Jane Seymour was Henry VIII's third wife and is consider the most boring of all six. However, was she actually the smartest of all by being traditionally English? It took a while to get into the secrets. Anne of Cleves was the first and I completely forgot what they were supposed to be revealling when I first started reading it. Spears seemed to drag the whole thing out. It was really only part way through Katherine Parr’s story that I remembered what I was meant to be reading about. Some of the parts were so dragged out that I just wanted to move onto the next wife, but I think that that was partially just the storyline surrounding the wife I was on at the time. Anne of Cleves’ story was one of my least favorites. From character development to storylines, there were parts that I really enjoyed. The choice of characters was great. It all starts with Margaret Beaufort and Elizabeth of York, and I’ve got to admit that I could imagine the two from history. Mary I, Elizabeth I and Lady Jane Grey make an appearance, and they’re three others that I could clearly picture and imagine as having those personalities in history. The descriptions of all the characters was perfect and not one seemed the same, except maybe the four Marys, but I don’t know enough about the four Marys yet to determine whether that was in character for how I would view them in history. Before the name of the characters was given, there was a lot of description into their personalities—well, the personalities that Dolly would see. It gave the reader a chance to guess along with Dolly as she worked out who she would be talking to next. The only two that I didn’t get right were Kat Ashley and Arabella Stewart, but again they are two that I don’t know much about (yet!). The concept of how everyone got into this area for wayward women was interesting for me. Eventually, the reader finds out that everyone is trapped in this world, and has been for around 500 years. It all started after the death of Anne of Cleves because none of the wives wanted to be around each other, especially Catherine of Aragon, Anne Boleyn and Jane Seymour. God didn’t know what to do with each of them, so it was a way to get them to work together and realize that there was more to their lives than being victims of Henry VIII. The rest of the people joined for various reasons, such as Elizabeth and Mary wanting to be close to the mothers they never met and Lady Jane Grey wanting to be close to her grandmother, Mary Tudor, and away from her mother. Katherine Howard’s was my most favorite character for me. When she found out which position she would be in to tell her secret, she made it clear that she needed to practice. I couldn’t help but smile remembering the story that Katherine asked for the block to be brought to her cell the night before her execution so she could practice laying her head on it. It was a very believable part of the story. Overall, the book was really well written. There were a few grammatical errors but they didn’t distract me from the book. Being able to guess along with Dolly was great and for most part the details weren’t too dragged out. I really think the bits with Anne of Cleves and Katherine Parr were because I personally didn’t find their stories that interesting, and I really wanted to know what the others had to share. Unfortunately, parts of the book really annoyed me. So, now it’s time to move onto the parts that I didn’t like. Unfortunately, there’s quite a bit. The main one is Anne Boleyn. From very close to the start it was clear to me that Spears doesn’t like Anne Boleyn. I’m not sure why that is, and I’m not even going to try and guess. Throughout the book there were snide remarks about how Anne broke up a happy home and destroyed Cardinal Wolsey. Sometimes those remarks came from the characters from history—and I could accept some of that, considering they were from the likes of Margaret and Mary Tudor (Henry VIII’s sisters). But sometimes they were through Dolly’s thoughts—a woman who had never met Anne by this point. Spears later used the rumor of Anne Boleyn’s witchcraft as part of the story. I wouldn’t usually mind this, but parts that linked into this really got to me. The only secret I’m going to share is Anne’s, because I don’t think it will be that much of a shock. It was that she was a witch, but a white witch. She used her magic to make Henry VIII fall in love with her and ensured that she would only have girls. However, there was a warlock working against her by 1536 in the Tudor court (and I’m sure you can all guess who that was considering the way actual history plays out). Now the annoyance over Anne Boleyn’s story and the snide remarks may just be the fact that I really love this wife of Henry VIII. She is the one that I love reading more about. Others may not find that they are so annoyed by it. Another part that really annoyed me was the focus on the stereotypes and some of the misconceptions about the wives. Jane Seymour is made out to be the least educated and almost stupid one of the wives. She doesn’t get anything that is going on around her and constantly expresses how confused she is. There were also a few historical inaccuracies throughout. Now I know that it is historical fiction and some of the truth was stretched to fit the story, but there was no need for a lot of the inaccuracies in the book. Anne of Cleves was the fourth wife of Henry VIII. She agreed to the annulment in 1540 and never argued with Henry. Did that make her the smartest of all six wives? Kathryn Howard: Could She Have Saved Her Life? Kathryn Howard, the fifth wife of Henry VIII, was a young girl, flirtatious and full of life. She may have been able to save her life had she admitted just one thing. Katherine Parr: A Very Lucky Woman or Just Incredibly Smart? Katherine Parr married Henry VIII in 1543 and survived until after his death. Was this because she was smart or just plain lucky? The protagonist of the story started to get tiresome by the end. She would constantly rhyme, but there was often no need for it. By the end, I got that this was just part of who she was, but it was never explained at the start. If it was explained, I missed it so it means that it was at an uninteresting part of the book. And considering she was meant to be a history professor, there were parts of the wives’ tales—and the other people from history—that she got completely wrong. Again, this comes down to the historical inaccuracies that there was no need for. Finally, I come to the “knocking on wood” point. Now yes, Tudor women would have been extremely suspicious, but I’m not sure if knocking on wood was something they would have done in the 15th century. Every time Dolly mentioned a common saying from nowadays that involved losing her head, her head spinning or anything else that would like to the executions, the historical characters would jump up and knock on the bedposts. Dolly felt horrible for not remembering to think before she spoke, but I started to get really annoyed. I’d have just told the wives to get used to it. They were common sayings, and I’m sure anybody would slip up and use them now and then. Do I Recommend Six of One? I’m glad I didn’t buy the book and it was available for free. I think it was only available for a short period of time. I’m not sure I’d have bothered buying it if it wasn’t for free. I would have read the sample before purchasing, like I do with most books. The problem for me is the inaccuracies that have no need to be there. I get that it’s historical fiction—and you should take all historical fiction with a grain of salt—but it seems that there was a severe lack of research going on at times. Some of the characters really annoyed me, but I’ve done so much research in Tudor history that I’ve created versions of them in my own head; especially Anne Boleyn. I didn’t appreciate the snide remarks about Henry VIII’s second wife, and I wasn’t that impressed with her eventual secret. However, there were some very interesting parts and funny moments. Please do only take the story as a work of fiction. Between the inaccuracies and the stretching of the truth for the sake of the story, there are a lot of things that I shook my head at. I hate when historical fiction does this, though, because there are people out there who believe it to be true. Many people believe shows like The Tudors and Reign really tell the stories of those in the past, but then fail to do their own research. These are my thoughts on the book. Have you read it? If so, please feel free to share your own views.